Carrot Cake Recipe - Easy Healthy Cake - Ready In About 60 Min! 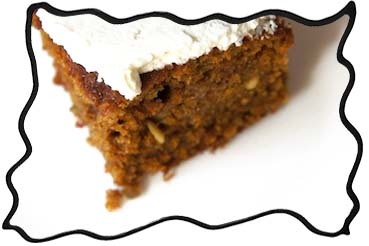 Carrot cake is deemed to be one of the most popular and simultaneously whimsy in the world. In 2005, the American-based Food Network listed carrot cake, with its cream-cheese icing, as number five of the top five fad foods of the 1970s. In 2011 it was voted as the favourite cake in the United Kingdom, according to a survey in the Radio Times. 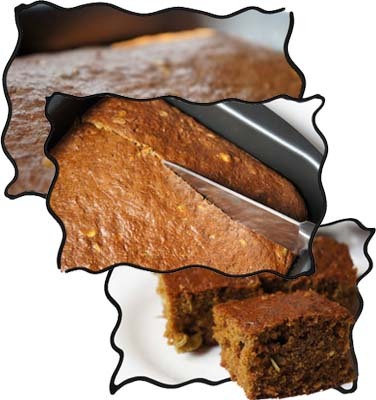 Carrot cake can be made in many different variations: with or without raisins or other dried fruits, with different kinds of nuts or seeds, served with or without cream frosting. In this recipe I use pumpkin seeds as I find them fitting perfectly for the moist cake texture. Is Carrot Cake As Healthy As It Seems To Be? Preheat the oven to 350°F (175°C). 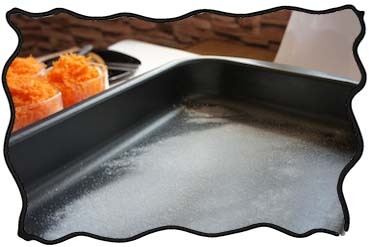 Grease and flour 9 x 13 inch pan. 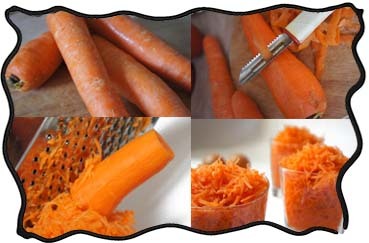 Start with preparing the carrots. If you are not using the grated ones, wash, peel and grate them first. 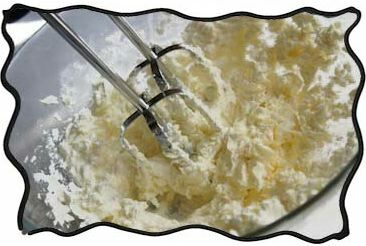 When done put them aside for a while and glance at the vivacious juicy orange color from time to time while mixing the batter! 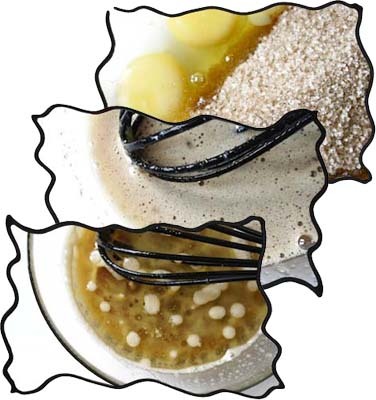 Now whisk together eggs, sugar and oil. Taking a short glance at those astonishing carrots spice up the cake's life with cinnamon, salt and baking soda. 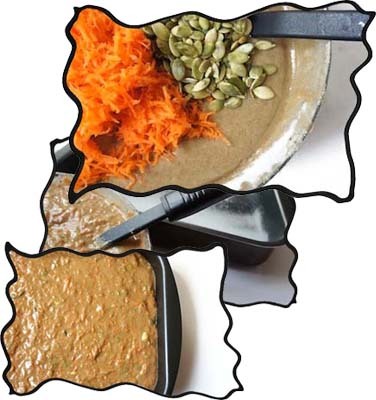 Fold in grated carrots and pumpkin seeds gradually. 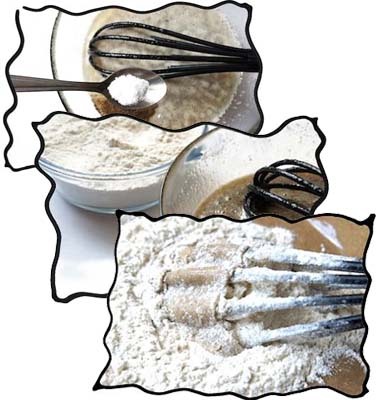 Mix till even and pour into the prepared form. Bake for 40-50 minutes at 350°F (175°C) or until a toothpick put into the middle comes out clean. If you like it with frosting, first prepare the white frosting to cover and then cut into square pieces. Otherwise you may just enjoy it as it is - moist and incredibly teasing! 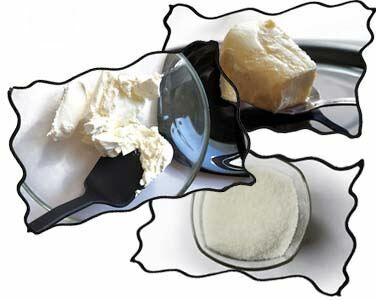 Beat together butter, cream cheese, confectioners' sugar and vanilla extract until the mixture is smooth and creamy. When done, spread over the baked carrot cake. You may also enjoy the video recipe with energetic and hilarious music by Stereophonics. Maybe it's just because healthy carrot cake makes one feel so good? Music and performance by Stereophonics, Carrot Cake And Wine. Do you like carrots? Those who do can easily understand my tender feelings to carrot cakes. However the statement whether or not a carrot cake is a healthy alternative to any other cake still remains questionable. It depends on ingredients. You may use honey or fructose or stevia as sweetener and whole grain flour, but still remember that the cake remains mainly a source of carbohydrates and fats. So if you make sure that the amounts of those are within your normal diet limits then definitely it is healthy! Also while baking the cake I was wondering: who has first came up with a fresh idea of baking a dessert with a vegetable? After a little research I discovered there are two main versions. The first story dates back to European Middle Ages when sugar and other sweeteners were not yet produce widely and were quite expensive. So the cooks saw adding carrots to the dessert as a decent alternative to costly sweet ingredients. The second story is even older: it brings us to the 10th century and an Arabic cook Ibn Sayyar al-Warraq who first wrote the recipe in his cook book. 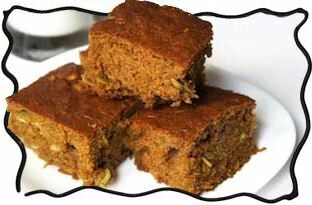 At that time probably carrot cake recipe was really healthy as it used honey instead of sugar and vegetable oil. If you have a better idea about carrot cake history, I will be glad to hear from you. I realize that carrot cake being healthy or not depends on ingredients. 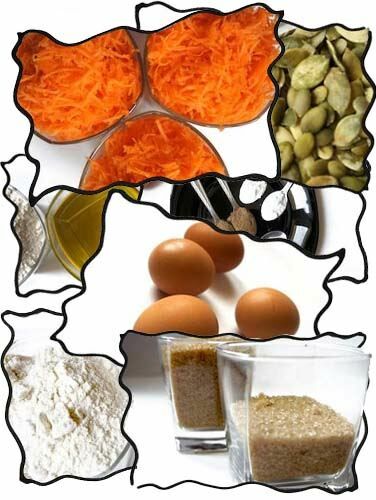 How can I make the healthiest carrot cake ever? Actually this recipe is already a rather healthy version since it uses vegetable oil instead of butter, lots of carrots and pumpkin seeds. One thing I see as a further perfection is making it free of sugar, for example, you may use honey or fructose instead. I don't like the cinnamon, what if I don't use it? Yes, you can skip cinnamon or replace it with vanilla extract, for example. Another idea that just came to my mind is replacing it with almond extract and using chopped almonds instead of pumpkin seeds, this is must be good too.